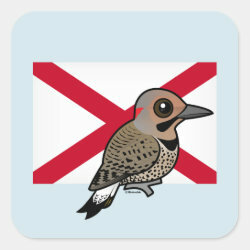 The state bird of Alabama is the Northern Flicker. The bird, in its eastern "yellow-shafted" form, is also sometimes known as the Yellowhammer. It became the state's bird in 1927. 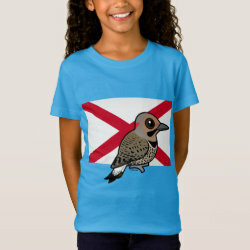 This original design from Birdorable features more... the Alabama state bird perched in front of the official state flag of Alabama. 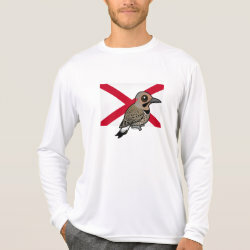 This makes a great gift idea for any Alabama bird lover!